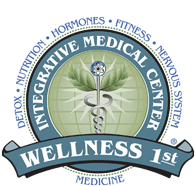 Wellness 1st Integrative Medical Center Our Services E.D. Erectile dysfunction (ED) is a common problem for many men today. About 40% of men in their 40s and 50% of men in their 50s are dealing with ED. At Wellness 1st Integrative Medical Center in Gilbert, Arizona, the holistic care physicians can help you overcome ED using a blend of all-natural techniques and treatments that really work. Book your appointment using the online tool or by phone now. Erectile dysfunction (ED) is a condition that causes reduced sexual desire, difficulty in achieving an erection, difficulty in maintaining an erection, or all three. Many men suffer from ED at some point in their lives, although it’s more common as you age. If you’re suffering from ED, the best thing you can do for yourself is speak to an expert holistic health care provider like those at Wellness 1st. Your treatment for ED starts with isolating the reason or reasons behind it. Your Wellness 1st Integrative Medical Center care provider starts with looking at you as a whole person rather than just a collection of various ED problems. To make sure of what is causing your ED, the provider might test your blood, saliva, and stool. Your doctor leaves no stone unturned in discovering the root cause of your ED. Some men who suffer from ED may have a hormonal imbalance like low testosterone. If you have this issue, your doctor can help you achieve whole-body balance to bring your hormone levels into balance as well. In most cases, you can achieve optimal testosterone levels simply through the prescribed body-balancing changes, in particular, dietary changes. However, if your Wellness 1st physician performs a full evaluation and determines that your specific case of ED warrants hormone replacement, you may use bioidentical hormone replacements, plant-derived hormones that are chemically identical to what your body makes naturally. Don’t let ED interfere with your quality of life any longer. Book your appointment for holistic ED treatment at Wellness 1st Integrative Medical Center through the online tool or by phone today.